Contact us to set up your appointment for an dental exam and cleaning today. Welcome to the office of Dr. Darlenn G. Ayan. We appreciate you considering us to provide your dental care! Ayan Dentistry is the discerning choice for the people who know what a beautiful, healthy smile can mean for their appearance. 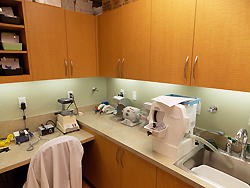 Here you will find a state-of-the-art facility to provide you with the finest dentistry possible. We provide all phases of general and restorative dentistry, with an emphasis on cosmetic, implant and comprehensive care. Families and people of all ages are welcome. 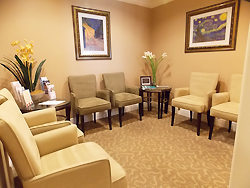 It is our pleasure to provide you with individualized, quality care. We are committed to excellence and look forward to developing a long-lasting relationship with you. Dr. Ayan is the only dentist in Collier County, FL, to be awarded the prestigious title of Master of the Academy of General Dentistry. Ayan Dentistry is also an official Invisalign Provider. A Naples, FL Dentist winner of the Patients' Choice Awards. 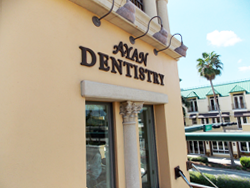 The entire staff at Ayan Dentistry is committed to serving your needs in a courteous, caring and understanding manner. We strive to understand your concerns and assist you in acheiving optimum oral health, comfort and beauty. Your appointment time is reserved strictly for you. As a guest at our practice, you are the most important person here and are given the attention you deserve with cost-effective dentistry. Our entire dental staff - dentists, dental hygienists, dental assistants, and office administrative staff are among the very best in the business - that's why we win prestigious awards like Top Dentist, 5 years in a row - because of our commitment to excellence. Come in and experience the difference excellence in dentistry makes! 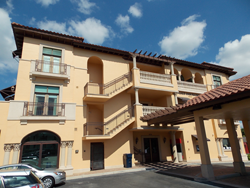 We are conveniently located in the heart of downtown Naples, Florida, to serve you!